When physicians at Boston Medical Center (BMC), a 487-bed academic, safety-net hospital, decided to examine efficiency and efficacy in clinical practice for a hospital-wide quality improvement project to promote high-value care, they had some good ideas about where to focus based on the patient population and flow of the hospital. 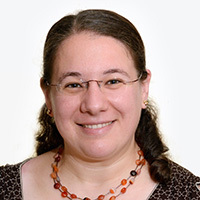 “We looked for places in the hospital where we knew we had a problem or thought we had a problem and believed we could solve it,” said Rebecca G. Mishuris, MD, MS, MPH, Assistant Professor of General Internal Medicine at Boston University School of Medicine (BUSM), BMC Associate Chief Medical Informatics Officer, and one of the project’s lead team members. “Looking at problems without solutions can be useful, but with this effort we wanted to make an impact. So we were thinking of theoretical solutions that would work operationally,” Dr. Mishuris said. underuse of standard pain and pneumonia prevention orders for postoperative patients to minimize pulmonary complications. The selected recommendations were from lists developed by the American College of Radiology, the Critical Care Societies Collaborative, the Society of Hospital Medicine, the American Society of Hematology, the American College of Surgeons and the Commission on Cancer. 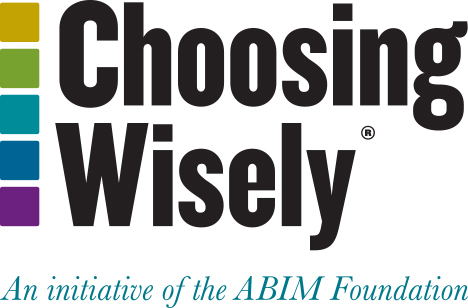 The team of administrators, frontline clinicians, data analysts and information-technology staff developed novel clinical-decision support (CDS) measures tailored to each Choosing Wisely recommendation and integrated them into the hospital’s inpatient EHR using “best practice advisory” alerts. The interventions, implemented in October and November 2015, were deployed for specific patient populations, with measures of utilization collected monthly for six months. Results showed that the CDS measures lowered utilization of preadmission chest x-rays by 3.1 percent and routine labs by 4 percent. Total lab utilization also declined, with a drop of 1,009 orders per month. There was no significant difference in the utilization rate of red blood cell transfusions and non-ICU urinary catheter days. But the proportion of patients receiving pain and pneumonia prevention orders increased significantly, by 20 percent, a result of targeting underutilization to drive high-value care. Nicholas Cordella, MD, MSc, Assistant Professor of General Internal Medicine at BUSM and lead author of the article, “Effect of a Hospitalwide Quality Improvement Initiative to Promote High-Value Care,“ said the BMC project built off of intervention practices that have shown some effectiveness in other settings with different patterns of practice and utilization. Dr. Cordella said there was a need for more studies that show that what works in non-safety-net hospitals also can be effective in places such as BMC, which serves a higher percentage of uninsured and Medicare/Medicaid patients. In addition, the BMC population has higher burdens of chronic disease, homelessness, food scarcity, joblessness and poor education, said Dr. Mishuris. While the BMC study notes that one limitation was the use of overall utilization outcomes, rather than focusing on clinically inappropriate utilization, Dr. Cordella said that based on prior research on overuse it was fair to posit that a portion of the decreased use reflected unnecessary care. Dr. Cordella said use of the EHR system helped tremendously in integrating the interventions into the clinical workflow, particularly for the underutilization component. Clinicians had ready access to the prevention orders for pain and pneumonia for post-operative patients.